he won the european championship before. 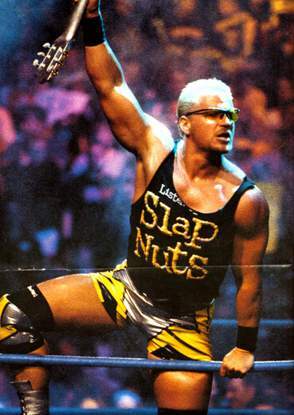 and a former 4 time WCW Champion he defeated DDP, David Arquette, Kevin Nash and even Ric Flair for the belt. I really liked the first TNA ppv event where he wrestled Jeff Hardy in a ladder match where you saw Hall and Nash come in. He just did really great. he was with AMW I think to i'm sure that was a great moment i've always wanted to see that match. he lost it on an impact taping I believe. Him vs. Kevin Nash was interesting. him an angle in a previous thread.